01- Kareem Williams, double tire ride, Austin, TX, 2011 This double tire ride is gnarly. The rail is super steep and the ground you land on is really rough. Kareem learned that the hard way because right after he pulled this he tried to noille the stair set and broke his leg. 02- Trey Jones, nose manual, Austin, TX, 2012 This spot which locals called “legoland” got demolished about a year after we shot this photo. It was off the highway and consisted of homemade transitions built on abandoned cement slabs. Trey skipped riding the transitions and did this gap to nose manual instead. 03- Trey Jones, Austin, TX, 2012 On road trips it’s hard not to notice Trey’s eating habits. Pizza and Dr. Pepper are consumed daily. When I saw this billboard I knew I had to get a photo of Trey in front of it. 04- Rob Wise, double peg, Austin, TX, 2012 When people come to town to ride I like to bring them to my old high school for spots. This time I brought the Markit team and Rob Wise fired this outrail double peg pretty effortlessly. I’ve looked at this spot since I was a student there and it’s always satisfying to see a trick you’ve imagined get pulled. Even though this clip didn’t get used for the Markit video, most likely because his part was full of straight bangers, I still liked the photo. 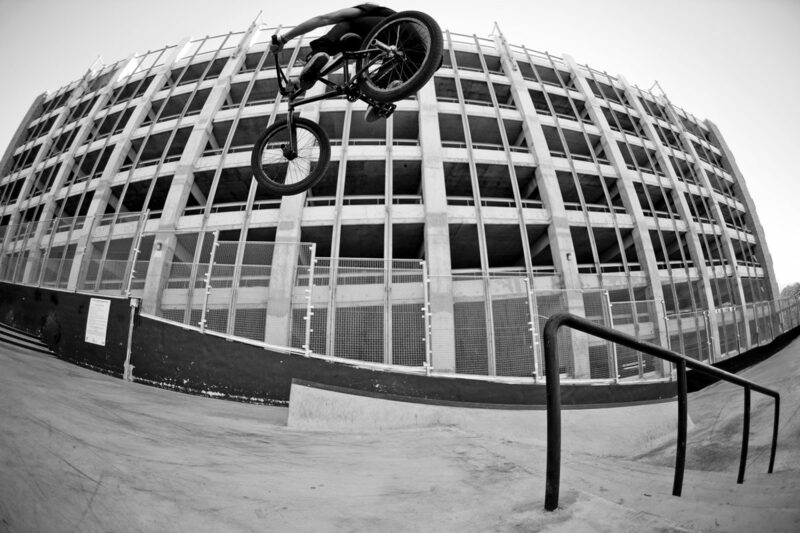 05- Tony Cardona, tailwhip, Austin, TX. 2011 This spot is about 30 feet from my front door. While filming his Empire web video I showed it to Tony and he called out whipping into the bank. 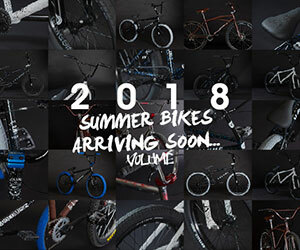 Tony has some of my favorite tailwhips in bmx and I’ve seen him do them of huge doubles and out of quarters but never on street. He actually did it twice for me too, we filmed one and then he did it again for this photo. Shoutout to Tony because I love how this photo turned out. 06- Slayer, Austin, TX 2013 Fun Fun Fun Fest (or FFF fest) is an annual music festival in Austin, TX. I’m not a huge fan of music festivals but I make the exception for this one. They always have amazing bands and build a huge ramp set up for bikers and skateboarders to ride. 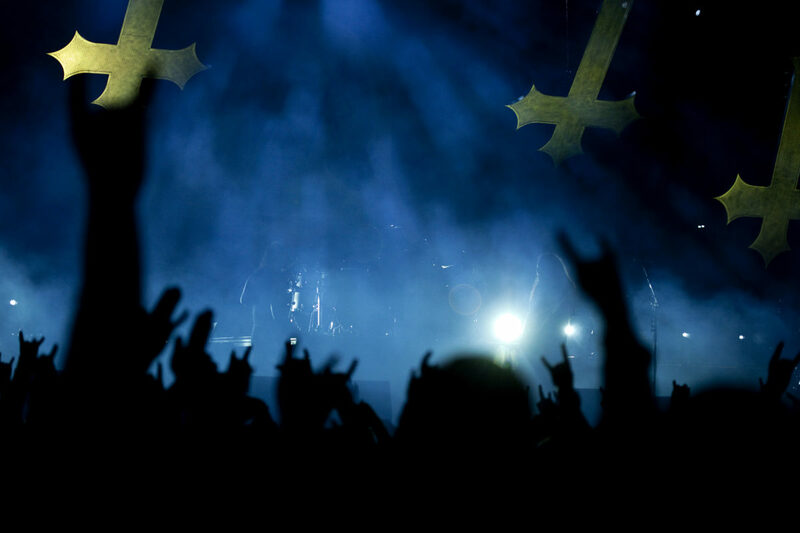 Last year Slayer played and all I have to say is if you have the chance you should see them too. 07- Hucker, Austin, TX, 2011 Hucker is one of those people that seems to always be having a good time. It’s almost infectious, if you are in a bad mood just being around him will make you in a better mood. This was shot at FFF Fest in 2011 as you can see his sponsors have changed a bit since. My favorite part of this photo is the guy in the Slayer shirt though. 08- Aaron Ross, tailwhip, Los Angeles, CA, 2012 You might of seen another photo I shot of Aaron riding this Hot Wheels Loop in RideBmx Magazine. We had a little session on it during the 2012 XGames and even though Aaron’s a street rider he’s not scared to ride a massive ramp. Just look at the size of that thing. 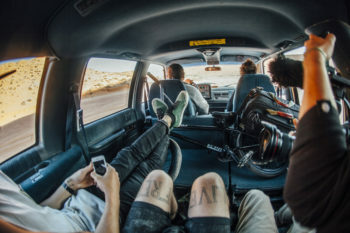 09- Red Bull Ride and Seek, West TX, 2011 I know it may be cliche to say, but road trips are one of my favorite things about bmx. 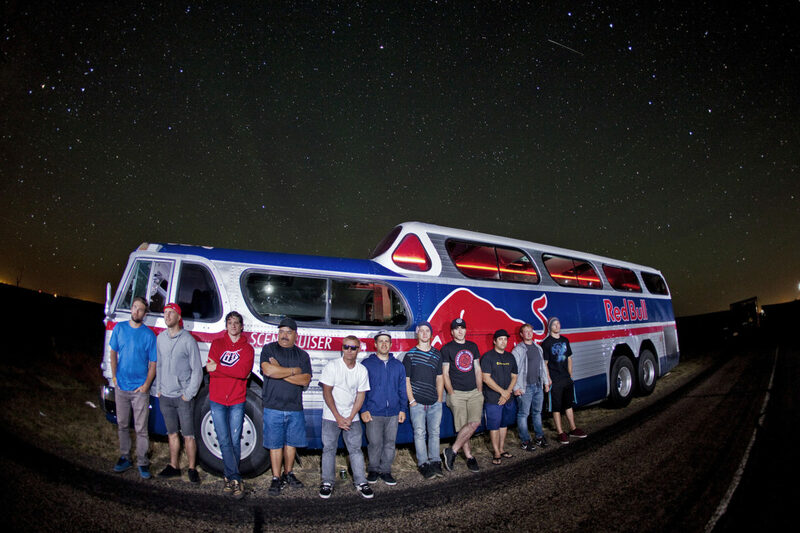 There is nothing like going on the road with a bunch of your friends and a Red Bull trip is no exception. I was actually a filmer on this particular trip but when we stopped in West Texas and you could see millions of stars I had to take some pictures. Huge shoutout to Eddie the driver! 10- Chase Hawk, footjam, Austin, TX, 2010 I miss the days when Empire had this perfect indoor bowl. They tried to make a new one when they moved into their current location but the neighbors complained and the city made them tear it down. 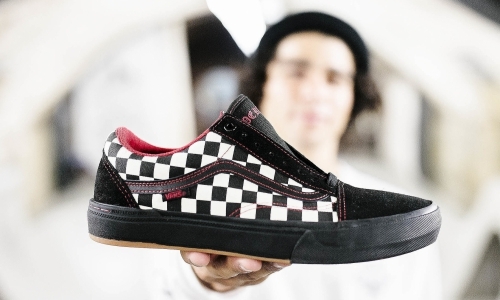 Here Chase risks falling down into frame storage with a precise sub box footjam. 11- Chase Hawk, 360 XUP, Austin, TX, 2014 I think Taj will forever own this trick but that doesn’t mean nobody else should do it. Chase does his best Taj impression while filming a day in the life in Austin, TX. 12- Wasp, 2011 I don’t know how this photo fits into a gallery full of BMX photos but I don’t really care. Since I was a little kid I was fascinated by bugs. 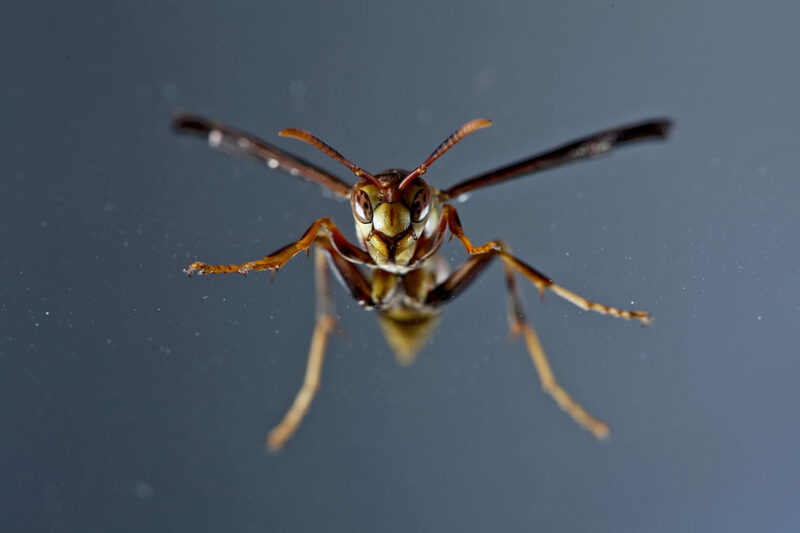 Now it’s a hobby of mine to take macro shots of the bugs I catch around my house. 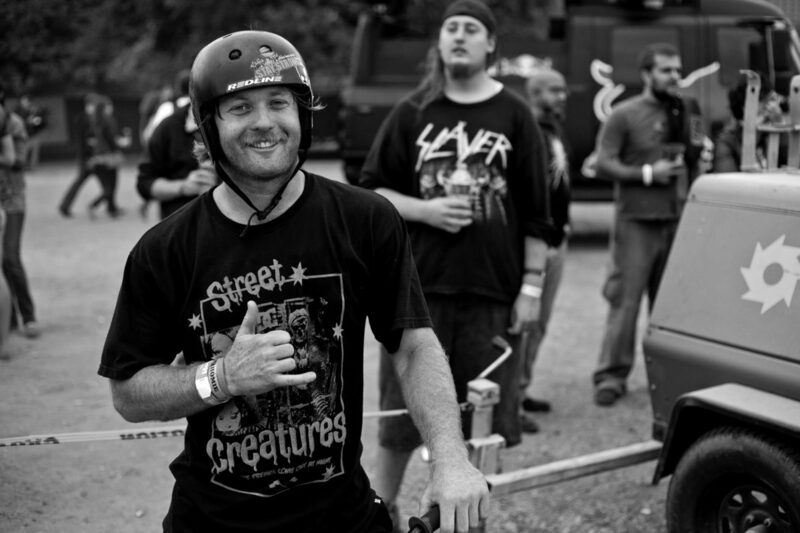 13- Dave Krone, rail to tuck, Austin, TX, 2012 “Simple tricks are definitely my favorite tricks to shoot. 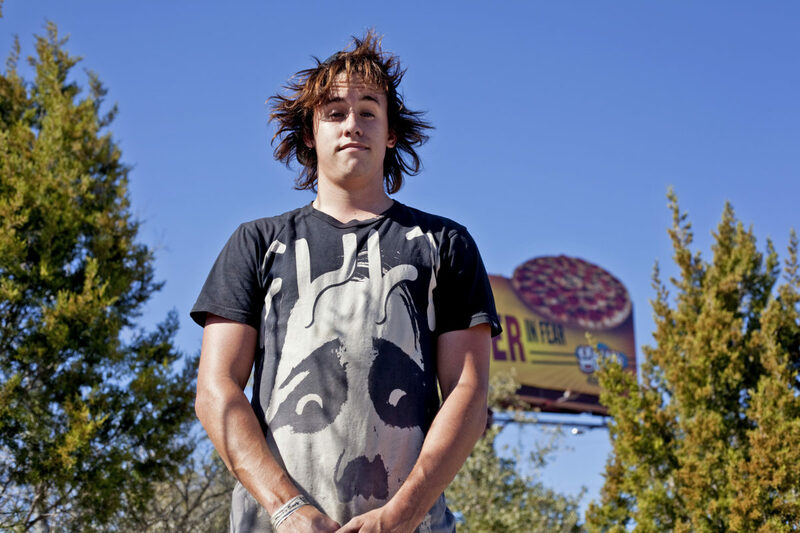 This is Dave Krone when he was in Austin filming for his Cult, “Talk is Cheap” part in 2012. Uprail to tuck at House Park. 14- Drew Bezanson, fufanu, Austin, TX, 2011 This is what you get when you bring one of the best ramp riders to one of the best ramps. There was a tree that hung over the T-1 ramp and when it got cut down it made for a perfect fufanu set up. After a few attempts Drew Bezanson nailed this fufanu while filming for his Props “Owned” section. 15- Tom Dugan, rail hop, Buenos Aires, Argentina, 2013 Last year Empire sent me, Aaron Ross, Kevin Porter, and Tom Dugan to Argentina to ride and hang out with the locals. It exceeded all of our expectations and we had an amazing time. The spots were plentiful and the locals treated us like family. 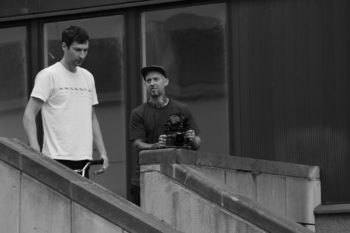 Right after we got kicked out of the other side of this building we rode to the other side where Tom found this perfect rail hop to bank. 16- Tom Dugan, toboggan, Austin, TX, 2014 What happens when a car rental company gives you a Lamborghini for 24 hours. If you are Aaron Ross you drive it to Tom Dugan’s house and have him jump over it. 17- Chase Dehart, wall ride 180, Austin, TX, 2010 Anything Chase Dehart does he makes it look effortless. While filming for the first Cult video, Let em’ Talk, he casually did this wall ride over the rail to 180. He ended up doing this to opposite 180 too. 18- Alex Kennedy, manual 180 toboggan, Austin, TX, 2010 Before Alex was a steezy four pegged street rider he was a steezy pegless street rider. You could just tell that there was something special about Alex’s riding from the beginning. He looks at spots a little different than most people, like this manual to 180 toboggan. This is a collection of photos I’ve taken over the past 4 years. A lot of these I had hoped to be used for an ad or published in a magazine but sometimes things don’t work out and the photos end up sitting on a hard drive. In the recent years I have focused more on filming and editing and photography took a backseat. I still shoot a lot of photos, just wasn’t submitting them as frequently. So before they got too old I went through and picked out my favorite photos that haven’t been published or posted anywhere online. With magazines getting thinner and Instagram being the go to place to post photos, I look forward to contributing to a media outlet that focuses on quality and not quantity. I have been a fan of Dig since I was a kid and feel honored to collaborate with them as they transition into this new digital direction. Enjoy.